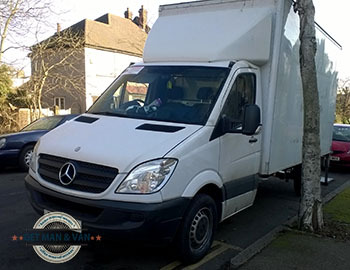 As expected of a professional moving company, we own and maintain a fleet of specially equipped removal vehicles which allow for the necessary transport capacity and efficiency on all jobs. Generally we use two types of removal vehicles – the more compact Transit van and the heavy duty Luton van. We operate three types of Transit vans – short wheelbase, medium wheelbase and long wheelbase. All of them have certain advantages, which allows for more efficient transit and quicker delivery times. The short wheelbase Transit is the more nimble of the two versions. The vehicle is easily manoeuvred around narrow streets and tight corners. The SWB Transit is excellent for metropolitan removals as it gains easier access and entry into courtyards, driveways etc. We have SWB Transits fitted with tail lifts as this allows for quick and safe loading of heavy or bulky items. The tail lift reduces preparation time and makes the entire loading process more efficient. The long wheelbase Transit vans we operate have more cargo space and can travel longer distances. LWB Transits also have higher payload capacity meaning there are ideal for transporting heavier loads. Again, we have a number LWB Transits fitted with tail lifts. We also have vans with mountable hoists which are used in cases where the tail lift is not an option, and there are such cases although very few. In general, Transits (SWB & LWB) are best suited for small to medium removal jobs. When loaded correctly, the Transit should easily fit the entire contents of an average studio flat. 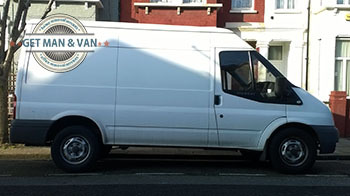 The Luton vans we operate are the more heavy duty removal vehicles we have at our disposal. Lutons can travel long distances, haul heavier loads whilst maintaining fuel efficiency and quick delivery times – generally Luton vans have more powerful engines. As expected, we own both short and long wheelbase Luton vans. The short wheelbase Luton van also known as a box van is a removal vehicle which has a separate cargo bay and passenger cabin. Generally, the SWB Luton provides an efficient alternative to the Transit class vehicle, with its combination of more powerful characteristics. We own SWB Lutons fitted with tail lifts as these vehicles are used for lifting and hauling heavier loads by default. The long wheelbase Luton is pretty much the master of lightweight removal vehicles. Our LWB Lutons are all equipped with hydraulic tail lifts and mountable hoists as these vans are widely used for transportation of heavy loads over long distances. The LWB Luton is equipped with the most powerful engine in its class. Generally, SWB and LWB Lutons are best suited for medium to large removal jobs. When loaded correctly, the Luton van should easily fit the contents of a two bedroom home.